Brian V. Guz, M.D. is a partner in the Michigan Institute of Urology, P.C. 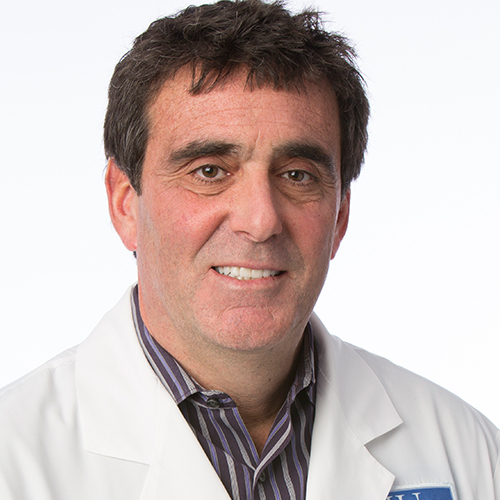 He has practiced Urology in the Metropolitan Detroit area since 1990. He was certified by the American Board of Urology in 1992. Dr. Guz specializes in all aspects of adult urology, including evaluation and management of male erectile dysfunction, and urinary incontinence. He also sub-specializes in Urogynecology and Female Urology. Dr. Guz received a Bachelor of Science from the University of Michigan, Ann Arbor, Michigan in 1981. He received his Doctor of Medicine degree from the University of Michigan School of Medicine, Ann Arbor, Michigan in 1985. General Surgical Residency was completed at the Cleveland Clinic Foundation, Cleveland, Ohio in 1987 and Urologic Residency at Cleveland Clinic Foundation, Cleveland, Ohio in 1990. He additionally trained in Urodynamics and Female Urology at UCLA and Southern California Kaiser Institute in 1990. Dr. Guz’s hospital affiliations include St. John Hospital and Medical Center, St. John Macomb Hospital, Henry Ford Macomb Hospital and Beaumont Grosse Pointe Hospital. Dr. Guz has served on the Executive Committee and Surgical Quality Assurance Committee at St. John Hospital and Medical Center, Detroit, Michigan. Dr. Guz is Co-Director of the Michigan Incontinence Center. He has served both as Principle Investigator and sub-investigator for multiple research studies involving drug therapy for overactive bladder, male erectile dysfunction, prostate cancer and bladder cancer. He has written and presented numerous articles both locally and nationally regarding general Urology as well as Urogynecology issues. He has served as Chairman of the Men’s Guild of St. John Hospital and Medical Center. Dr. Guz is a Diplomat of the National Board of Medical Examiners and a member of the Wayne County Medical Society, Michigan State Medical Society, American Urology Association, Michigan Urology Association and the AOA Honors Medical Society.